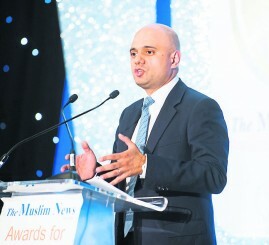 An estimated 159 Muslim candidates will take part in the local council elections in England, Scotland and Wales on May 4, that is according to data exclusively compiled by The Muslim News. A 12-year-old girl launched a brutal Islamophobic attack on a Muslim mother and her daughter that left one of her victims too scared to leave her house. An imam in Canada has received a death threat and calls for the Dar-Al Tawheed Islamic Centre near Toronto to be burned down. A new report by the Institute for Social Policy finds American Muslims to be a group that suffers a lot of hardships but the most optimistic group when it comes to America’s future. Uber drivers could be forced to take English language tests after the private hire firm lost a High Court bid to block the new rule. As Britain scrambles to eke out trade deals with economic powerhouses following the delivery of Article 50 last month, environmental regulations are on the chopping block. Sonny Bill Williams will be allowed to continue covering up a sponsor’s logo on his Auckland Blues shirt after the New Zealand Rugby Union agreed to the All Blacks player’s request based on his religious beliefs. It is so refreshing to see a positive story on the Muslim schools and students.